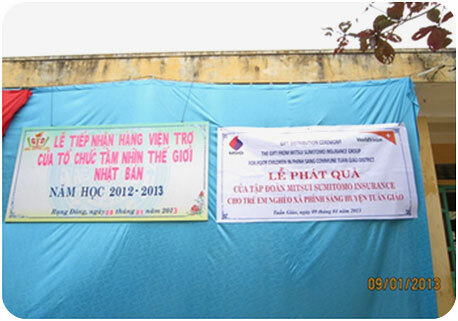 Special events were happened on Jan 9, 2013 in communes of Ta Ma and Phinh Sang, Tuan Giao District, Dien Bien Province. 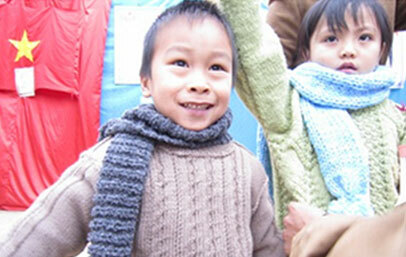 Children, teachers, and local people gathered to receive the wool-hand-knit-sweaters, caps, and mufflers donated by Japanese donors. 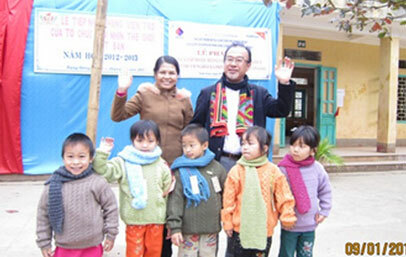 The weather was very cold, below 10 degree Celsius but they still felt the warmth of Japanese donor's friendship. 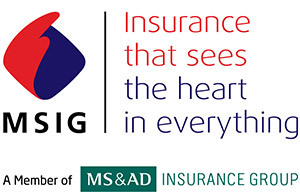 The donors are from Mitsui Sumitomo Insurance Group (MSIG). 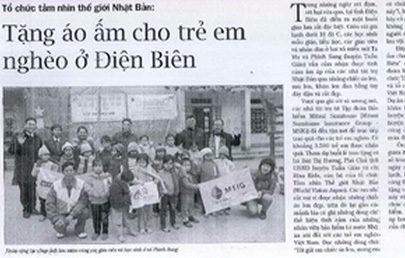 They came to distribute the wool warm clothes to the local poor children who are in kindergartens and primary schools. 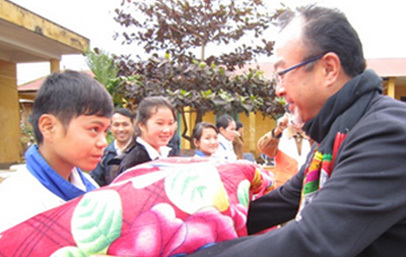 About 3,590 children were benefited this time. Participation in the distribution ceremony includes Madame Bui Thi Huong, Vice Chair of Tuan Giao District People's Committee and Ms Risa Kido, project officer of WV Japan. The children were very happy with good wool clothes not only because they were very nice but also there were tags on the clothes with the wishes such as: "Hope you have a good health and a warm in the winter! 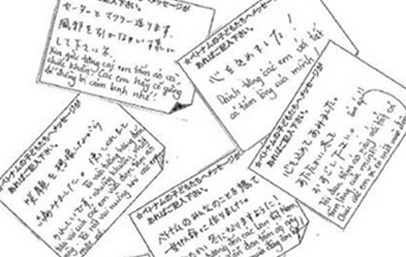 ", "Try your best in studying and have good results!". 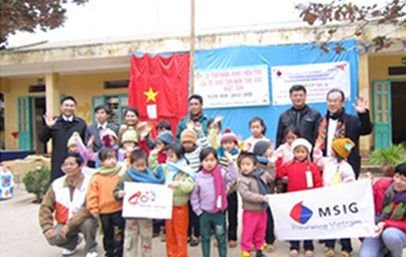 The year 2013 is the 4th year of implementation of the project "Warm clothes for poor children in Dien Bien Province" donated by Mitsui Sumitomo Insurance Group in cooperation with WV Japan and WV Vietnam. 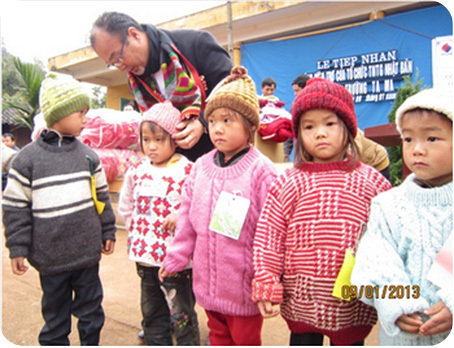 The project has provided the wool-hand-knit sweaters, caps and mufflers to poor children living in Tua Chua ADP in 2010, in Muong Cha ADP in 2011 and also in Tuan Giao ADP in 2012. 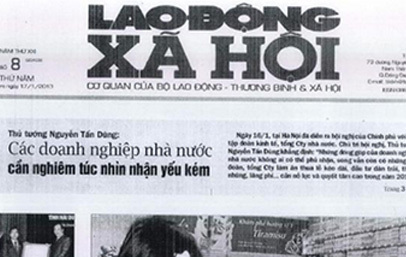 Mr Kabashima, Deputy General Director of MSIG Vietnam has said in the ceremony: "The weather in Hanoi is rather cold today but it is colder here in the mountainous areas. We give you these wool sweaters with our staff's wishes. I hope you could feel the warm of our friendship to you..."